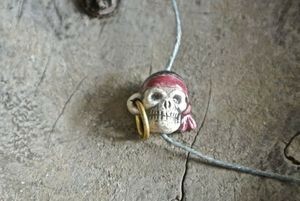 Our ceramic pirate skull beads are handpainted in Peru and come and two sizes. 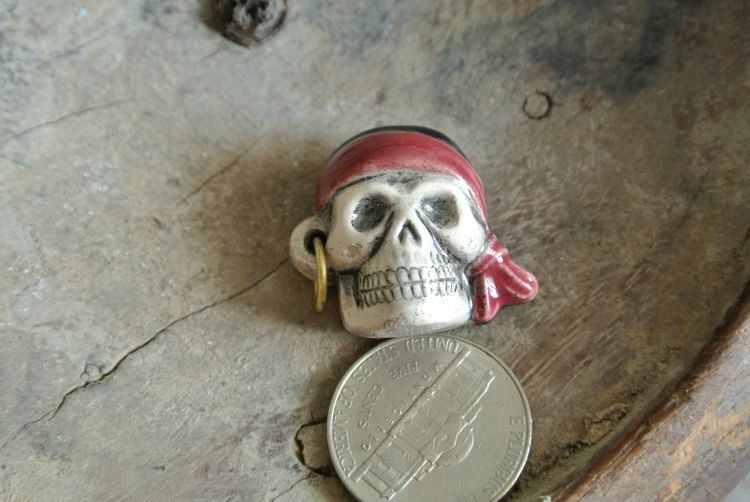 The smaller pirate skull bead is 12mm wide by 14mm tall. 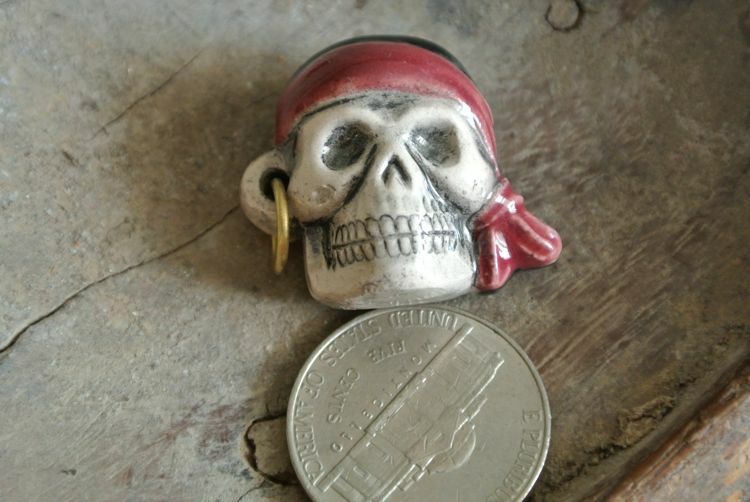 The larger pirate skull bead is about the width of a quarter or 24mm (25mm~1inch). Both have a flat back. 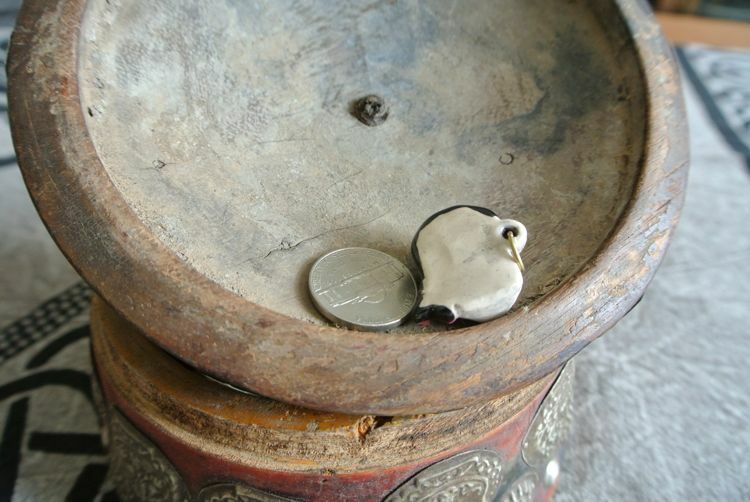 The smaller bead is drilled top to bottom. 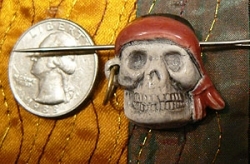 The larger bead is drilled side to side from the top of the head.These 3-D handmade ceramic pirate skull (skeleton head) beads have red and black handkerchief and gold earring. Sold individually.